Craig Capurso gives you simple fixes to make your ab training far more effective. It can be hard to know the best way to achieve the ultimate six-pack, but Cellucor athlete and IFBB physique pro, Craig Capurso, is here to show you the real way to get your abs to ripple. This isn't just some workout to follow and forget, though. Craig is going to help you keep making improvements to your midsection over the long term. Here are his eight insider tips and techniques for advanced gains. Some lifters argue that heavy squats and deadlifts are all the ab work you need, and, while I don't agree, there's no doubt that they're important. What squats and deadlifts do work is the transverse abdominis (TVA)—when they’re done with moderate weight and without a weight belt. A strong TVA, sometimes referred to as nature's weight belt, builds serious core strength. It can actually help you keep your belly sucked in, giving you the appearance of a flatter midsection. "I see so many people new to the gym slapping on a belt before they've built any foundational core strength," says Capurso. "You need to build core strength just to be able to support yourself through life's random movements. I don’t advise using a belt until you graduate to a point where you can identify how wearing one will specifically benefit you." Don't expect heavy squats and deadlifts to provide the complete abdominal stimulation you need, though. Here's why: Holding your body upright, even with very heavy weights, doesn't actively work the rectus abdominis—the main muscle you see as the six-pack—through its full range of motion. Because these exercises don't involve flexing the spine, any strength is developed only at the specific angle worked by the exercise. Consider the way you train your chest—performing incline presses for upper chest, and declines for lower-pec development. Both of those exercises alter the point of maximum stimulation on the chest, which is why you include different exercises from different angles in your workout. The same is true with abs. The rectus abdominis is a single muscle, so you can't totally isolate one portion of it independently. However, you can emphasize one region over another. When you stabilize your hips, the process of contracting the upper portion of the rectus abdominis moves your ribcage closer to your pelvis, as when doing crunches. This causes a greater degree of muscle shortening and involvement in the upper-abdominal region, which is why these kinds of movements are considered upper-ab moves. On the other hand, when you do exercises that focus on the lower abs, your torso is stationary as you pull your pelvis into your ribcage. This movement causes the lower end of your abs to undergo a greater amount of shortening. 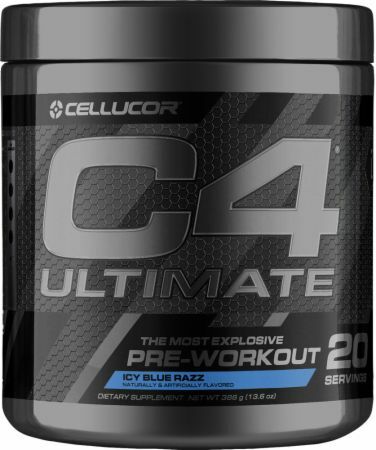 The Ultimate Pre-Workout Experience. Fully-Loaded Formula in Single Scoop Dose. If you're diligent about good form during resistance exercise, you've no doubt learned the importance of protecting your spine (especially the lower region) by keeping it flat or slightly arched. That lesson has probably served you well during standing or bent-over movements, such as squats or deadlifts, but with ab training you've got to unlearn it! Maintaining a flat or slightly arched back in the lumbar region during ab exercises ensures the antagonist muscle—the rectus abdominis—can’t actively contract. And if it can't shorten, it can't grow. You see this frequently when people do cable crunches or decline-bench crunches with a flat back—hinging at the hips, but not curling forward and down. That won't cut it; to work your abs, you need to be curling forward at the waist! Many people miss the important distinction between movement at the hips (a joint) and movement at the waist. The forward bending motion you want during ab exercises takes place in the waist above the hip joint, and requires the muscle fibers of the rectus abdominis to shorten. Think of it as your spine curling in a controlled manner, rather than movement at the hip joint. If you've tried hanging knee or leg raises, you know that these exercises are meant to focus on the lower-ab region. But where most lifters go wrong is stopping the motion far too soon. If you bring your legs to the point where they're about perpendicular to your body, there's very little movement in the lower spine. In fact, bringing your knees up to this point is largely due to hip-flexor contraction, which is not an abdominal muscle. Try bringing your legs up higher and see what happens to your lower spine. Bring your legs up higher still, and you can feel your lower abs working harder (and the lower end of your spine really bending!). This is precisely what you want to see during lower-ab exercises. "An excellent way to target the lower abdomen and start the movement right is by shifting the attention to your pelvis," says Capurso. "Your pelvis and hips should activate into a front tilt—opposite the arched back—and should move toward the belly button during contraction." The hip flexors are a muscle group that originates in the lower back and pelvic region, and inserts on the upper region of the thigh. Because the hip flexors are so strong, some people tend to shift the workload onto them when doing ab exercises where the feet are anchored, such as when doing sit-ups or decline bench crunches. With your feet anchored, it's easy to rely on the hip flexors to "pull" through your upper thighs, rather than using your abdominals to raise your torso up. Try this experiment: Do medicine-ball passes with a partner on a decline bench and go to failure. When you're done, get off the bench. Does it burn in your abs—or upper thighs? If it’s the latter, you’ve successfully fatigued the wrong muscle group. Try the experiment again. This time, focus on relaxing your hip flexors during the movement. Feel the burn in your abs this time? Now you're doing it the right way. Just because the abdominals contain a greater percentage of slow-twitch muscle fibers doesn't mean you should only train them with high reps and light weights. Your abs have fast-twitch fibers too, and the only way you're going to see your abs grow is by using heavier loads for lower reps.
"Start training your abs with resistance and you'll begin to see deeper shadows as they grow," Capurso says. That includes exercises, like machine and cable crunches, where you train in lower to moderate rep ranges. That's a smart way to improve the three-dimensional aspect of your abdominals. 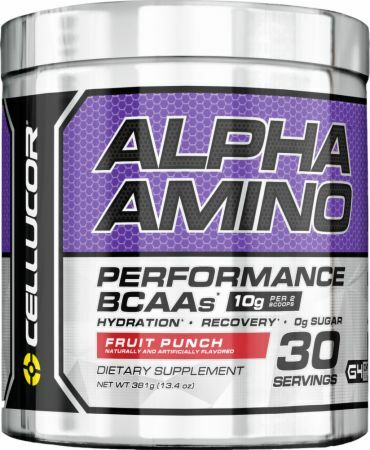 Premium Formula To Fuel Endurance, Hydration, And Recovery! For many lifters, oblique training means two things: Side bends, and endless repetitions of unweighted twists using a broomstick. If that sounds like you, then you need to embrace two moves that strength coaches have been crowing about for years. Rotary-type movements that engage your obliques need resistance. Two of the premiere ways to get that resistance are from doing cable wood chops or Pallof presses. In both of these exercises the line of pull is coming from your side, and that’s what makes the obliques work. It's a good idea to include oblique training with your abs, but you have to do it right. In addition to rotary exercises, movements that work the lateral plane develop the obliques, too. You can do that from the bottom up (such as hanging knee raises with a twist), or from the top down (as in cable crunches with a twist). For some people, an ab workout consists of a handful of exercises done for three sets of 20 at the end of their training session. If that's how you approach abs, it's time to get with the program. For one thing, doing them last means it's easier to blow them off. "If your aim is to build a better set of abs, putting them last is a sure way to under-train them," says Capurso. "I stack them with arms and calves on what I call an 'auxiliary day' and hit them hard. I want my abs to be strong so they don’t become the weak link in the chain when I'm doing major compound movements." You'd never simply do three sets of 20 with the same weight in your chest training and expect to continue making progress over time. When you want to see your bench press go up, you keep challenging it with greater loads over time as you get stronger. You need to train your abs in the same way—progressively overloading the muscle as it gets stronger. Whatever body part you're working on, falling into a comfort zone can kill your ability to improve. As your body adapts to a training stimulus, you must continually increase the stress to continue making gains. Up the ante incrementally and make your training harder, whether it's by using more weight, doing more reps, shortening rest periods, doing more volume, or by choosing more difficult exercises. Be patient. You may not have a rock-hard six-pack just yet, but now you have the tools to make it happen.